Graph databases are about more than relationships. They offer flexibility and new ways of interacting with data, which can be useful for work like fraud detection. “Moving from relational to graph, it takes time to learn to step back from your data and ask, ‘What more can I do? 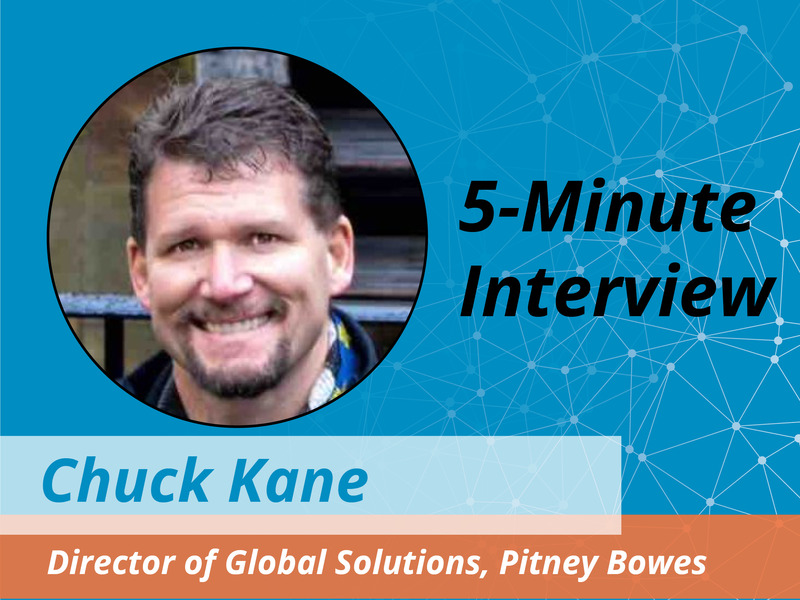 '” said Chuck Kane, Director of Global Solutions at Pitney Bowes. The company partnered with Neo4j to provide effective fraud detection analysis to its customers, made possible by the ability of a graph database to uncover hidden data relationships. ), we discuss how Pitney Bowes transitioned from relational databases (RDBMS) to graph technology, and how their software uses Neo4j to unmask fraud. Talk to us about how you use Neo4j at Pitney Bowes. Chuck Kane: We use Neo4j within our Spectrum Technology Platform in support of what we call our “single view of customer solution” – albeit the graph database can be a single view of almost anything. We support a lot of different organizations that want the ability to integrate, transform, consolidate, and bring that single-view understanding. And we’re able to do that efficiently and in a very contextually rich way – bringing that value to market very quickly. What made you choose Neo4j? What made Neo4j stand out? Kane: Previously, we had done these kinds of projects with relational databases. But our requirements are very much about accuracy, consistency, and integrity — all of which are values that Neo4j brings to the table. Neo4j’s flexibility with data connections allows customers to import all of their connected data, see the richness in the data relationships, understand different patterns and get insights from their data. What is the most interesting result or project that you’ve had working with Neo4j? Kane: I’ve done a lot of work, both in the traditional space but also in financial crimes in the area of fraud detection. In one specific project, we performed a pattern analysis to understand the flow of information with transactions. By doing so, we were able to prove to a host organization that we could have identified large AML structures, Ponzi schemes and fraud structures three years before they were notified by the OCC and the government. I think that was a very interesting use case, because it wasn’t just the granular view of a single customer, but all customers. The patterns illuminated what fraud and AML structures really look like. Knowing what you know now, if you could go back in time and do anything differently, what would it be? Kane: I wish we had adopted Neo4j sooner. There are a lot of things we learned along the way, and when you’re coming from a relational database background, you’re coming from a modeling perspective and you approach your data with a somewhat closed mind. You might think — “Okay, this is just about transactions and the customer, and how I link customer information” — rather than seeing all of the other things you could learn with the data. Moving from relational to graph, it takes time to learn to step back from your data and ask, “What more can I do?” Then you can put far more into the overall capabilities of the application. So, I would have wanted to start moving forward with this much sooner. I think that if there’d been a Neo4j back in 2004, we’d see a very different database landscape today. The other piece is just the wider view and understanding of how you can really use the patterns and information to drive value for your customers and insight for companies.